Welcome to our New Grad Students! 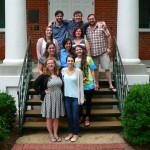 This is the first week of classes for our new students in the Southern Studies Master’s degree program. We’ll have a more detailed story soon with bios for each student, but for now, here’s a photo taken by Jimmy Thomas on the steps of Barnard Observatory last Friday at orientation. 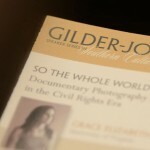 Occasionally, faculty members teach classes for the first time as special topics, generally on timely topics or topics that are particularly relevant to their field or research. Sometimes these classes are taught again, but only periodically. 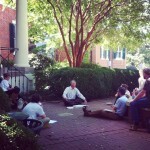 This fall, the Southern Studies program is offering two such special-topics graduate-level seminars. 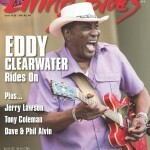 The August issue of Living Blues is available now and features our cover story on Eddy “The Chief” Clearwater. Clearwater turned 80 earlier this year and we decided it was a good time to catch up with one of Chicago Blues’ elder statesman. The new issue also includes a look back at the life and career of the King of the Blues, B.B. King. First, we examine King’s career and influence as covered via the pages of LB. Writer David Whiteis’ tribute gives an overview of King’s life and influence and we wrap things up with a decade-by-decade guide to B.B. King’s albums.